Barbie is in a fashion fairytale. There is so much sparkle and glimmer in her clothes. 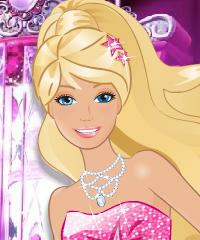 Dress Barbie up in a fairytale style.